Looking for a bestseller, a publisher asked Alcott to write a book for girls. Although reluctant at first, she poured her best talent into the work, and the first volume of the serialized novel Little Women became an instant success. She wrote a chapter a day for the second half of the book. Her subsequent children's fiction, including Little Men (1871), An Old-Fashioned Girl (1870), Eight Cousins (1875), and Jo's Boys (1886), were not as popular as Little Women. She also wrote many short stories for adults. She became a strong supporter of women's issues and spent most of her life caring for her family's financial, emotional, and physical needs. Her father died in March 1888, and she followed him just two days later at the age of 55. Louisa May Alcott's father Bronson approached publisher Thomas Niles about a book he wanted to publish. Their talk soon turned to Louisa. Niles, an admirer of her book Hospital Sketches, suggested she write a book about girls which would have widespread appeal. She was not at first interested and instead asked to have her short stories collected. He pressed her to do the girls' book first. In May 1868, she wrote in her journal: "Niles, partner of Robers, asked me to write a girl's book. I said I'd try." She later recalled she did not think she could write a successful book for girls and did not enjoy writing one. "I plod away", she wrote in her diary, "although I don't enjoy this sort of thing." By June, she sent the first dozen chapters to Niles and both thought they were dull. Niles's niece Lillie Almy, however, reported that she enjoyed them. The completed manuscript was shown to several girls, who agreed it was "splendid". Alcott wrote, "they are the best critics, so I should be satisfied." The first volume of Little Women was published by Roberts Brothers in 1868. 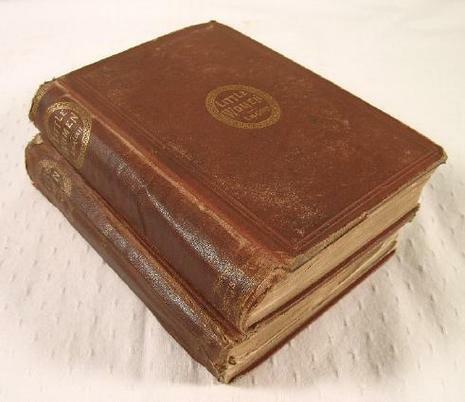 The first printing of 2,000 copies sold out quickly and more printings were soon ordered but the company had trouble keeping up with demand. They announced: "The great literary hit of the season is undoubtedly Miss Alcott's Little Women, the orders for which continue to flow in upon us to such an extent as to make it impossible to answer them with promptness." Alcott delivered the manuscript for the second part on New Year's Day 1869, only three months after publication of part one. 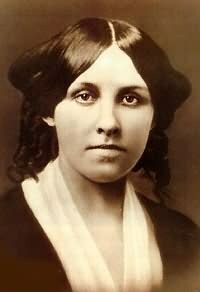 A prolific author of books for American girls, Louisa May Alcott is best remembered for Little Women, one of the 270 published works by the Pennsylvania-born woman. This endearing novel captured forever the period's ideals and values of middle class domestic life. The book has appeared continuously in print since its first serial publication in 1868-70.